Does Virtual Reality have a Role in the Future? Virtual Reality (VR) is predicted to be one of the next revolutionary technologies, capable of various applications for numerous industries. In fact, worldwide profit from augmented reality (AR) and VR will reach $162 billion by 2020, according to analyst firm IDC. 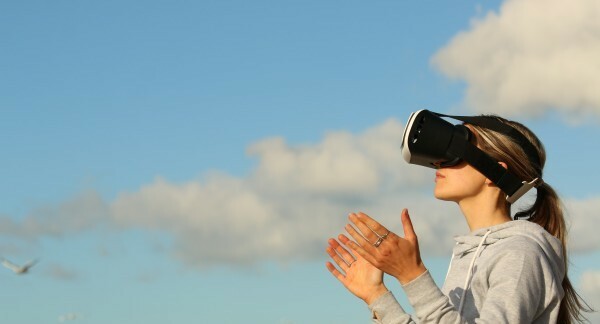 Obvious sectors such as gaming, entertainment and design will be majorly impacted by VR advancements, but schools will also see changes brought on by this technology. According to PricewaterhouseCooper’s PwC annual Global Entertainment and Media Outlook, VR revenue will reach $15 billion across 10 markets (U.S., Japan, China, South Korea, the UK, France, Germany, Spain, Russia and Italy) by 2021. The report also predicts that VR will add almost the same revenue as TV advertising during the same period. Due mainly to VR headset solutions, VR video will account for the majority of VR growth in the upcoming few years. Some Hollywood blockbuster directors already have dedicated VR projects and studio ventures. For example, The Walking Dead producers recently announced a series of VR games based on the TV series. In addition, VR gaming will continue to gain popularity as well – over one million of Sony’s PlayStation VR headsets have been sold. More marketing campaigns showing the value-added experiences that VR brings to a video experience are predicted to target currently uninterested mainstream consumers. The role of virtual reality in the classroom can be an important one, if used in the correct manner. Like smartphones and tablets that are already embraced by schools, VR can help create exciting learning experiences for students. However, the key difference with VR compared to other technologies is the immersion faction – there are no distractions when students use VR. Instead of replacing tablets and computers, VR can be used to stimulate students in different ways. Used in history classes, VR can be used to transport students back in time to truly experience significant moments. While learning about the human body, VR can enable students to walk into a simulation that allows them to manipulate certain body parts. Learning using VR technology becomes easier and quicker, since students will find absorbing information in 3D much more enjoyable than traditional methods of 2D (ie. reading textbooks). The future of virtual reality is exciting! More VR products, content and price points will emerge as consumer familiarity with VR is ramped up. More and more wireless VR headsets will become readily available for purchase in the marketplace. Location-based venues like Imax VR will continue appearing in major cities. Only time will tell just how much is affected by VR efforts! Want knowledge and advice from the best in the software and media industry? Contact us today at Saigal Media! Strategy Vs. Technology: What Drives Digital Transformation More?